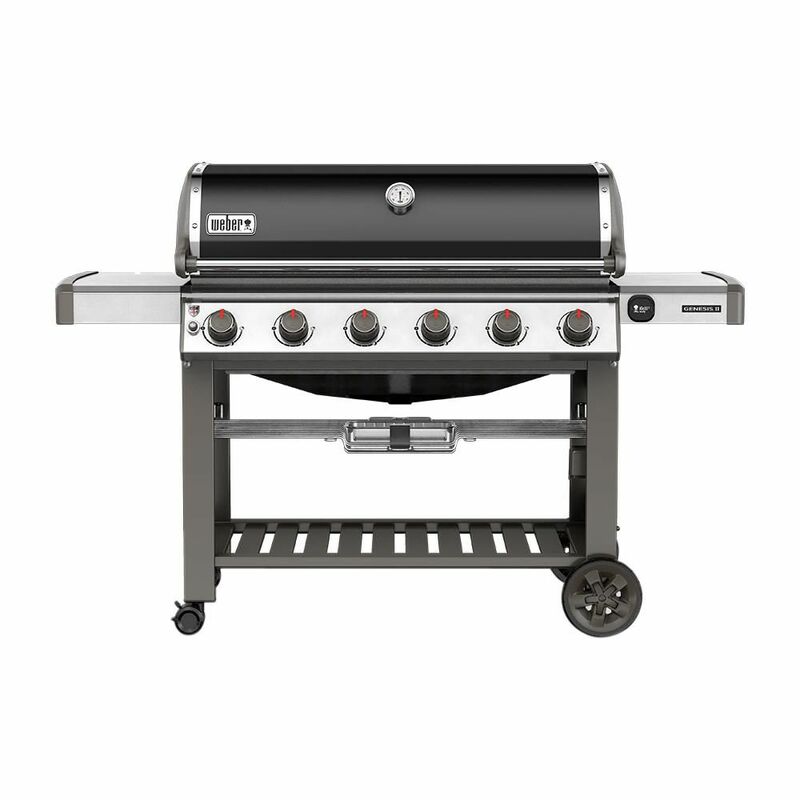 Genesis II E-610 6-Burner Natural Gas BBQ in Black is rated 4.6 out of 5 by 36. Rated 4 out of 5 by Kevin71 from Great features I cooked a 10 lb prime rib in an elevated rack in a pan, the top half was cooked perfectly the bottom half was raw. Any ideas? Rated 5 out of 5 by Raiderman from Great grill Cooks evenly whether I use one burner or all 6. Reduced flare ups. Rated 5 out of 5 by Dirtman from one bad boy Got this grill for Christmas and absolutely love this grill. Superb paint finish and looks awesome on my patio. I highly recommend it if you have a large patio. Rated 5 out of 5 by Riaz from Ecstatic about Weber E-610 Three weeks ago I purchased E610. It have six burners. Best feature of this grill is uniform heat. 80lbs of Chicken leg and thigh in three batches was well cooked inside and did not burn. I am glad of my purchase. Rated 5 out of 5 by Marck from Well Built! We have owned many large BBQ’s and this one appears to be built with the capability of handling the task of cooking for large numbers of people. We are very happy with the simplicity of the grill and that it feels sturdy enough to last for years. Rated 5 out of 5 by Big Boy from Perfect Grill. Number One for grills for good reason. Heats up fast and evenly. Double sided grills is a nice feature. Rated 5 out of 5 by Worker from Generates great heat. Up to 700 deg F. ... Generates great heat. Up to 700 deg F.